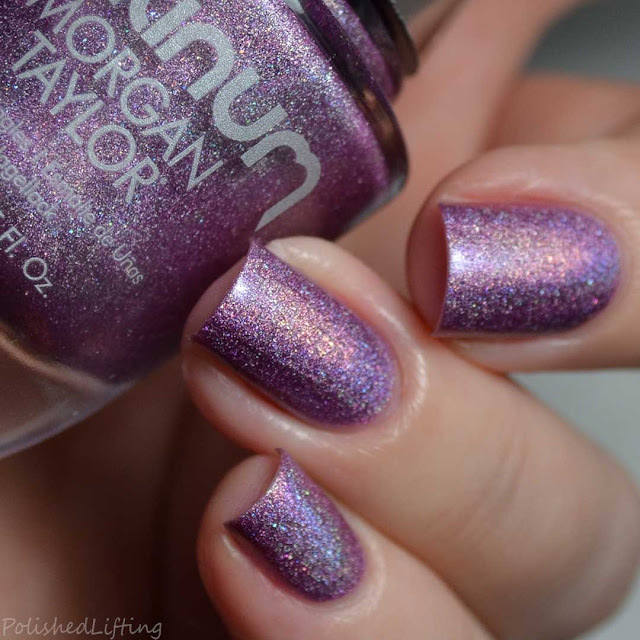 I know you guys love holo, so the brand new Morgan Taylor Platinum Collection is going to be a delight! 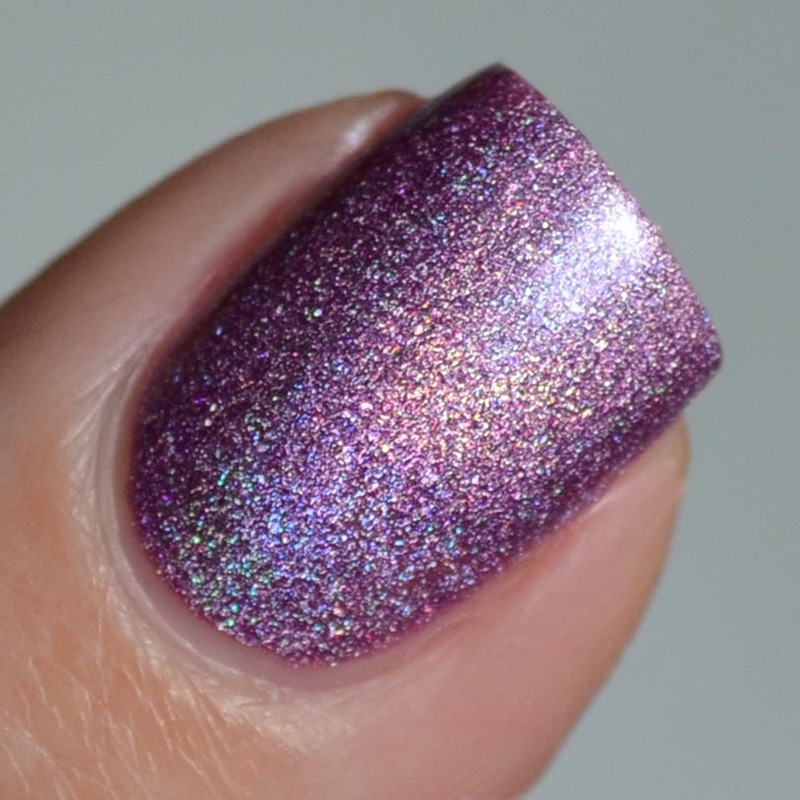 The full collection consists of six holos, and I have three of them to share with you today. Not pictured in my review are Diamonds in the Sky, Disco Days, and Glow All Out. 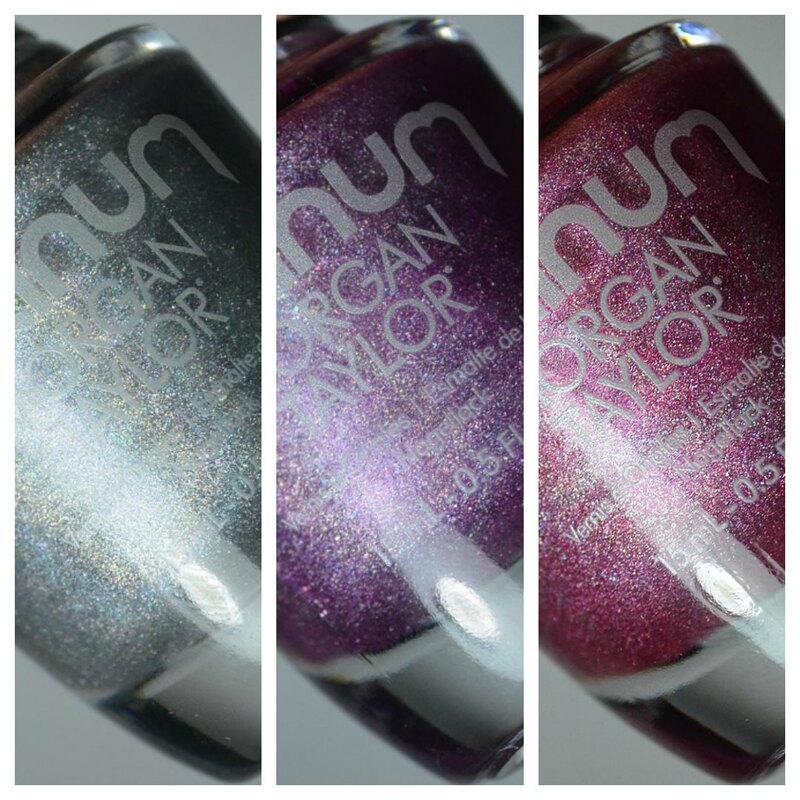 L-r: Liquid Bling, It's Lit!, Holo Lover! 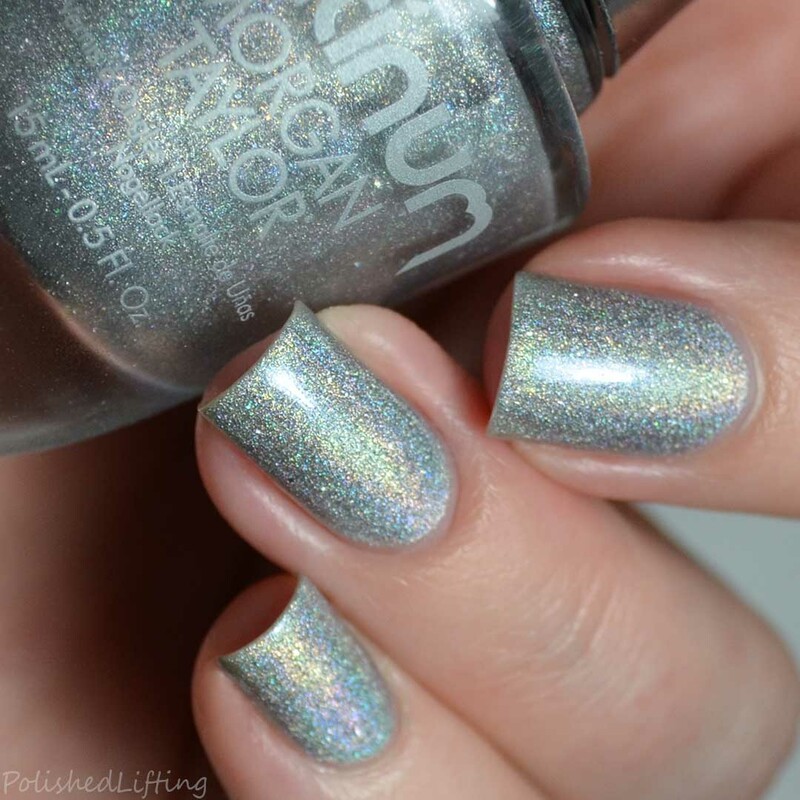 Notes: This is a classic silver holo that packs a blinding punch! Notes: I really love how this has a bit of a gold flare in the right lighting. 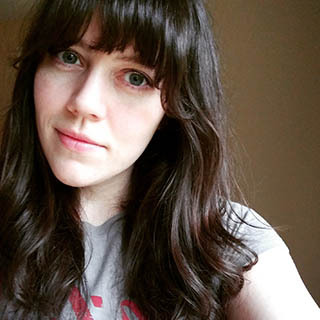 Notes: I think this one was a surprise favorite for me. Purples are so popular but I'm usually more interested in greens. Like Holo Lover!, It's Lit! also has that pretty gold flare. The Morgan Taylor Platinum Collection is currently available for purchase through select distributors. Be sure to check out the website linked below for more info. 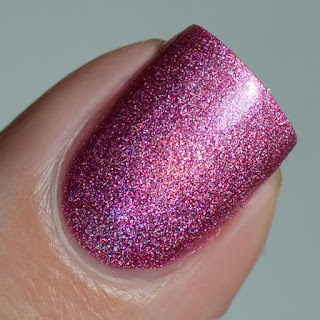 If you enjoyed this post you might like Freehand Poppies + Morgan Taylor Accelerate & Stripease and Morgan Taylor Thrill of the Chill Collection.